Prayer is an essential part of our every day lives and helps keep us focused on our relationship with God. Our collection of treasured Catholic books was written especially for those readers dedicated to living by the spirit of their faith. This book explores the nature, history, rite, and effects of each of the seven sacraments of the Catholic Church. 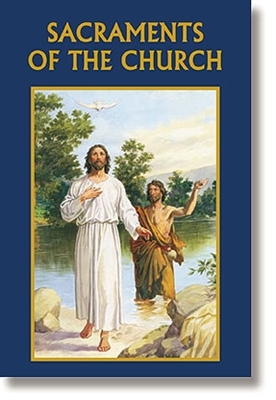 Included in this beautifully illustrated book are quotes from the Scriptures, Catechism of the Catholic Church, and the Vatican II Documents to help ground readers in a fuller understanding of these signs of grace. Through the sacraments, readers will come to feel more deeply the love God has for them.